Medicine is becoming increasingly fragmented. Sure, the discipline of medical care hans’t changed, but the way in which delivery is packaged and sold to healthcare consumers (formerly known as patients) is a rapidly evolving concept. In the late twentieth century, burgeoning systematic growth in managed care fundamentally altered payment schemes by weighing remibursements based upon arbitrary metrics (RBRVUs, etc.). Within the scope of primary care, this meant that phsyicians could no longer have the freedom bill services in a uniform manner. Capitation models, for example, were being systematically shunned in some regions in favor of relative value units. Acute care models were favored with potentially higher payments to physicians and hospitals over ambulatory, preventive care. The hospitalist specialty was likely a consequence, carefully being crafted by its proponents and initially nurtured as a niche delivery, evolving to an essential part of streamlined care process. Unsurprisingly, growth gave way to governance, spawning specialty boards, national associations, and specialty journals. The same could be said about the growth of the hospice “industry” — as the mainstream media likes to call it. Hospice medicine — delivery of care to actively dying patient — has steadily transformed from an earnest provision of unique care to this type of patient to an additional revenue stream for (mainly) profit-driven entities. Over the past 35 years, the move to adopt hospice care as a fully accredited mode of care delivery picked up steam with political support. Congressionally mandated government demonstration projects confirmed the need for this level of specialized care, and by the late 1980s, hospice medicine became an essential part of the care continuum in this country, complete with a special benefit status within CMS (formerly HCFA). All of the growth that hospice models of care have demonstrated over the past two decades has wrought an unfortunate consequence, however. The specter of fraud and abuse became harsh realities for the federal government, forcing the need for increased government oversight. 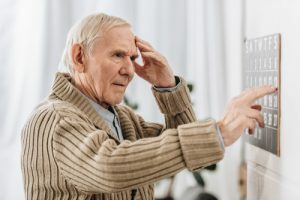 Questionable certifications for terminal illnesses led to reforms that strengthened the Medicare Hospice Benefit, essentially codified into law as part of the Omnibus Budgetary Reconciliation Act of 1997 (legislation that also reformed and revolutionized care delivery in nursing homes). With greater publicity surrounding hospice medical delivery at the turn of the 21st century, came opportunities for third party care providers to capitalize upon increased lay awareness. Essentially, a nidus of small, mostly religious-affiliated organizations that provided such services has mushroomed into a multi-billion dollar industry, led by national chains — many of which aggressively market their services. As these sheer numbers have exploded, it has been increasingly difficult for regulation to occur, laying the groundwork for further fraud — and patient harm, by extension. 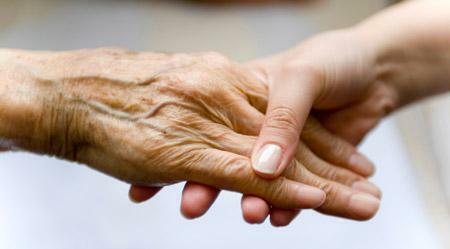 HuffPo has a nice feature on “Hospice, Inc.”, which is well worth the read. Every day, hospice marketers descend on doctor’s offices, rehab centers and hospitals. These workers have been known to rifle through patient logs at nursing stations, scramble to sign up what some in the industry call “last gasp” patients — people with just hours left to live — and even scuffle with each other in hospital corridors over the right to sign up dying people, according to current and former hospice employees and allegations made in federal lawsuits. Since 2006, the Justice Department has sued more than a dozen hospice companies for going too far in the pursuit of patients. The roster of companies accused of billing fraud includes Miami-based Vitas, the largest hospice provider in the nation. Prosecutors accuse these companies of overbilling for care that isn’t required, refusing to discharge patients who improve and enrolling people who aren’t dying. The payouts to organizations that deliver hospice care are rather consistent and generous, as CMS incentivizes enrollment with payments that are typical of a stable, daily rate, with increases based upon patient severity and multiple diagnoses and complexities. 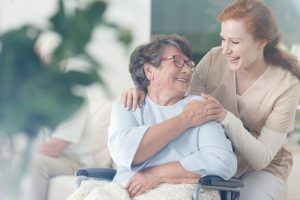 Hospice executives maintain they aren’t swayed by these monetary rewards, and that the vast majority of their patients are appropriate for the service and satisfied with the care. They argue that because doctors must sign off on enrollments, proper medical oversight exists to prevent fraud.